There was 1 other person I couldn't tell she was the Afro-Caribbean Officer warring Black Tunic but Gold Insignia anyone able to tell who that person would be and what Service? Presumably London Ambulance Service then. Which should be green uniform with gold insignia. Necrothesp wrote: Presumably London Ambulance Service then. Which should be green uniform with gold insignia. 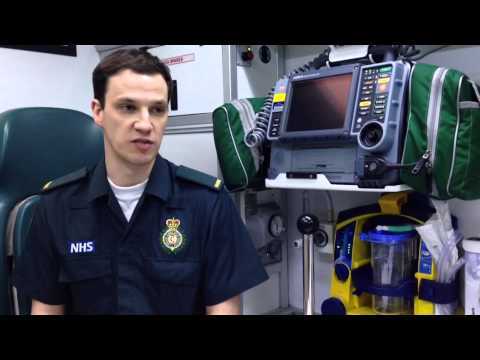 I can't see the still image from the movie but, yes, London Ambulance Service uniform is a fairly dark green. The green has been through various shades over the last twenty odd years but was chosen to be specifically different to the dark blue of the police. The current pattern of operational uniform was introduced around 2002 (with minor tweaks since) and is now pretty much the national pattern for NHS ambulance services. This is outgoing chief executive of the LAS, Dr Fionna Moore, in the female variant of the LAS formal uniform, attending a memorial service for the victims of the "7/7" terrorist attacks in London (July 7, 2005), alongside the Commissioner for the London Fire Brigade (a title unique to London, but he wears the same Chief Fire Officer insignia as all other CFOs). This is, presumably, the real role that the movie was attempting to create...? The markings on LAS green uniforms are gold rather than the silver worn on the dark blue (not black!) uniforms of the police and fire services. The only exception to this would be the City of London Police, who wear gold insignia on dark blue uniforms. Left: City of London Police: note the gold insignia and gorget/cap oak leaves and also the red-and-white diced hat band (reflecting the red and white colours of the Arms of the City of London) rather than the usual black-and-white diced pattern. Medic_in_Uniform wrote: The markings on LAS green uniforms are gold rather than the silver worn on the dark blue (not black!) uniforms of the police and fire services. The only exception to this would be the City of London Police, who wear gold insignia on dark blue uniforms. In fact, British police uniforms are now genuinely black and have been for many years (I used to wear one! ), although the "boys in blue" fiction still remains. Uniform regulations actually describe them as black. Probably the fire service's too. Some of the operational stuff, yes, but there is a fair degree of regional variation in this and, to my best knowledge, many formal uniforms remain dark blue. I can definitely say that the chaps I was standing next to yesterday were undoubtedly wearing dark blue, and not black! Must be down to regional differences then, although I have to say that most police uniforms (including the Met's) certainly look black to me. Formal, as well as operational. Interestingly, the Liverpool City Police always wore black, right back to their formation. And inspectors wore silver piping on their cap peaks instead of the black worn elsewhere. Merseyside Police inspectors still do. Police Scotland uniform regulations specifying that dress uniform is black. These are the only dress uniform regulations I have been able to find online thus far that specify colour, but they clearly show that at least some forces do wear black.